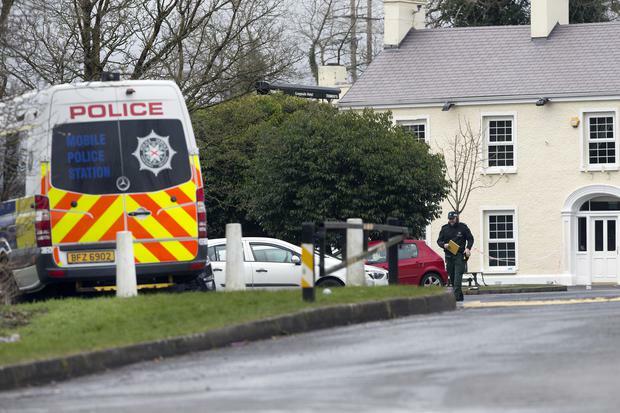 The three teenage victims of the suspected stampede outside the Greenvale Hotel on St Patrick's night have been named locally. Three young people - two boys and a girl - were killed and three others hurt in the tragic incident. 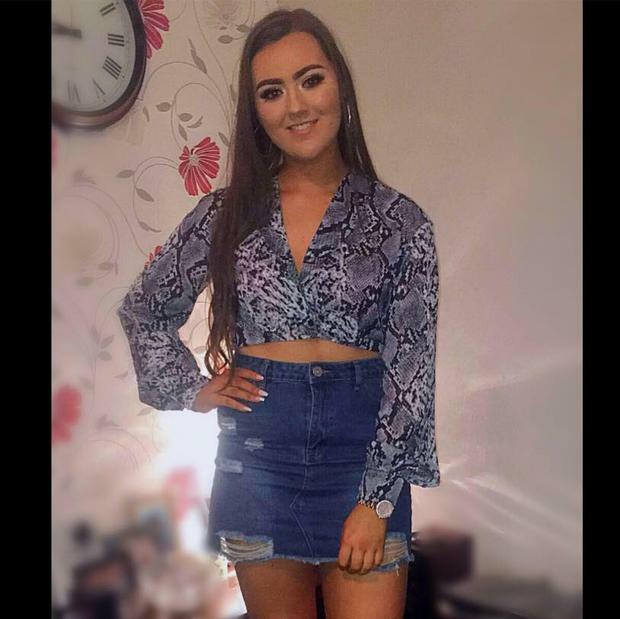 Tributes have been paid to 17-year-old Lauren Bullock, who was described as "the most down to earth, beautiful soul". Euophoria Allstar Cheerleading NI team said: "Euphoria are absolutely devastated to say we lost one of our senior athletes, Lauren Bullock, in the tragedy in Cookstown last night. "My heart is broken writing this. You were the most down to earth, beautiful soul and our Coral team will never be the same without you. "You were an incredible cheerleader and were the backbone of our team. Fly high our beautiful girl." 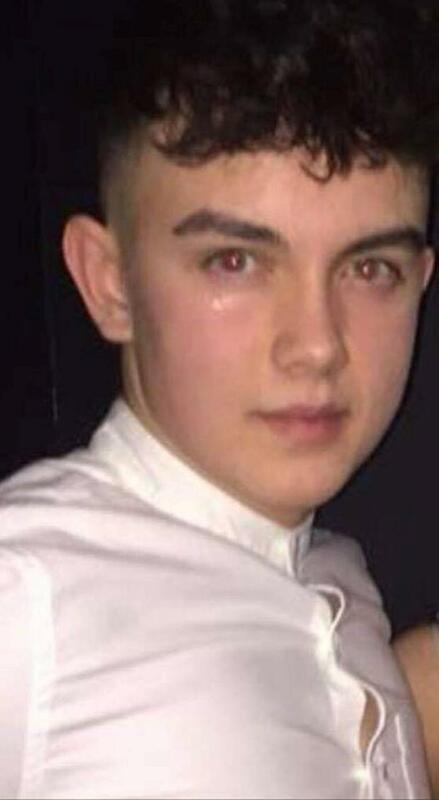 A second victim was named locally as 16-year-old Connor Currie from Edendork, Dungannon, Co Tyrone. Connor, a keen GAA player, was remembered by his club Edendork GAC in Dungannon, who said he will be remembered with the "greatest affection". "Connor will forever be remembered with the greatest affection by all associated with our club and indeed the wider Edendork community. We are all in shock at Connor’s untimely passing, to lose a dear friend and team mate is one of the most difficult life experiences you will have to face." 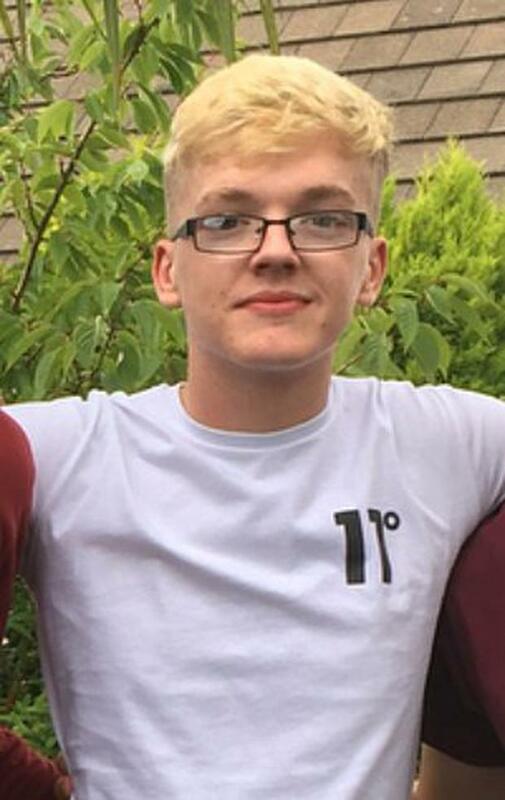 The third victim was named as Morgan Barnard, aged 17, who attended St Patrick's Academy in Dungannon along with Connor Currie. Meanwhile, a young girl who was in attendance at the event has described in harrowing detail how the commotion unfolded. She said she fell and was trapped under other young people in the queue. "It started with pushing and shoving but everyone was still laughing and having a good time. Then the literal crushing started," she wrote on Facebook. "Two of my friends fell to the ground. I tried to pull them up but at that point there was no room for them to even come back up. So I started screaming at the top of my lungs: 'My friends are on the ground, move back! My friends have fainted, move back! My friends can’t breath, move back! "People were scratching, biting and grabbing anything they could to pull themselves up to breath. I think that’s what really shows the seriousness of it all, people were literally fighting for their lives. 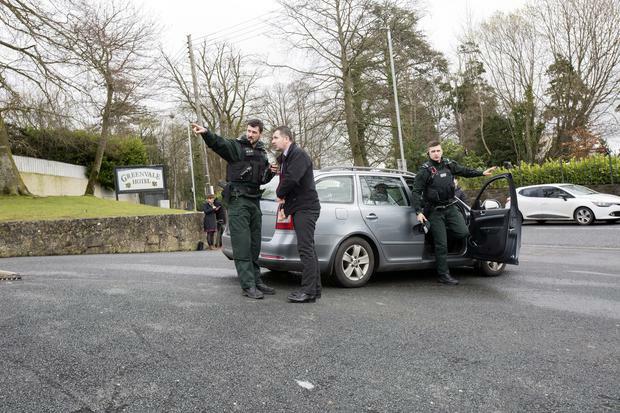 Separately a mother whose two sons had travelled to the Greenvale Hotel to attend the St Patrick's Day disco said they have been "traumatised" by the suspected stampede. Emma Heatherington from Donamore said neither of her two sons were injured - but her daughter's friend was tragically killed in the incident. The young girl was also from Donamore. 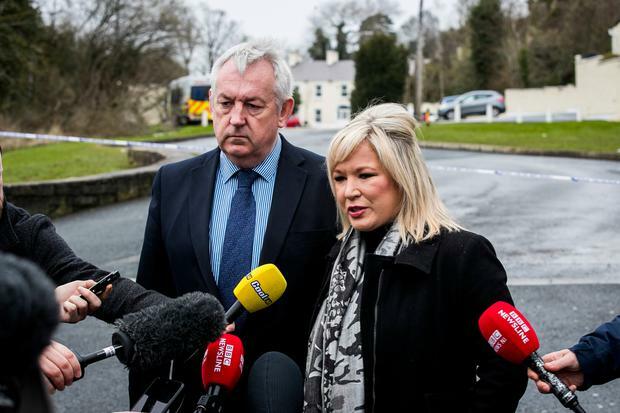 Speaking on RTÉ radio, Emma said that as news emerged of the incident, she desperately tried to reach her two sons to make sure that they were ok.
She said the two had travelled to the disco with friends from the locality. "They are both obviously quite traumatised by everything that has happened and everything that has happened since as the news unfolds this morning," she said. "They were with their own friends in the queue to go into the disco. "They say that there was commotion at the front, then they were all asked to step back. And before long police and ambulance were on the scene and it was all frantic. "It was very quick, very mad, very crazy. It was surreal. They don't know what happened." Emma said her youngest son saw a boy on the ground as ambulance staff tried to resuscitate him. "It turned out he was from his year in school as you can imagine that was extremely traumatic for him to witness that," she said. Ms Heatherington said that she learned that something had happened through social media late on Sunday night. "When I saw the call out on Facebook to get your children home, I felt sick. I couldn't even hold the phone I was shaking. "I got through to one of them and he was ok, he was in the nearby McDonalds. "He said: 'Mummy it is not good,' then he was cut off. "I was walking around the house trying to get mobile coverage to get through to both of them and finally I did. "I can't even describe the relief of the sound of their keys in the door. But the trauma wasn't over. "Then my daughter came screaming down the stairs to say that her friend was dead. "My daughter wanted to be with her friends, they all just wanted to be together last night." CCTV will play a crucial role in the investigation into the deaths of three young teenagers, police said. “The reaction here last night and in the early hours of this morning is one of shock. People really are at a low ebb this morning. It’s a huge loss in the community. He also thanked the emergency services who were called to the hotel about 9.30pm. Five emergency crews, paramedics and doctors were dispatched to the scene. Archbishop Eamon Martin released a statement asking for prayers following the tragic deaths of the three teens. "The joy and celebration of Saint Patrick’s Day in the Archdiocese of Armagh has given way to shock and sadness today as we try to come to terms with the tragic incident in Cookstown last night. Our heartfelt thoughts and prayers are with the families and friends of Lauren, Connor and Morgan, and with all of those who were caught up in the horror and distress of what happened, including those injured and traumatised, and the emergency services and staff who responded. "In the coming days our parishes, schools and wider communities of Dungannon, Donaghmore, Cookstown, and others throughout Tyrone and beyond, will reach out with Christian faith, love and compassion to let these heartbroken families and school friends know that they are not alone in their grief and loss. Please join with me in praying for comfort and strength for all the bereaved and injured."